This wedding band is beautiful and classic! 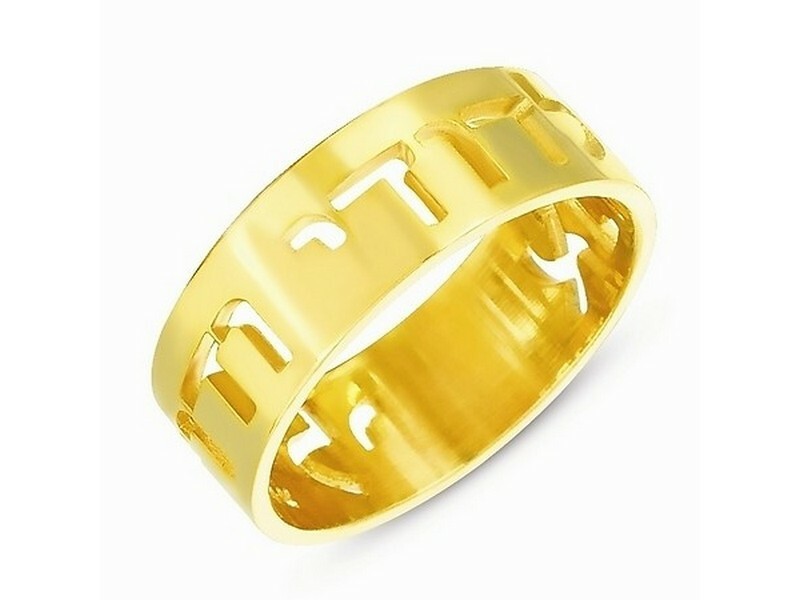 Made of highly polished 14k gold it has a sleek look. The words Ani l’dodi v’dodi li’ meaning ‘I am to my beloved and my beloved is mine’ are cut out. Wedding ring is suitable for both bride and groom. Ring is available in both yellow and white gold.